Coming from the B3 - Direction of paint, almost the whole town through, then turn left towards Mulhouse, left at the fork, the auto repair shop, Klaus Becker, then take the left branch direction paint a mountain, then the first = Birkenweg left, the 2nd left = Sonnenweg, the first In the right = Bangert. Here one comes straight to our house with a flagpole and propeller in front and painted sheds. 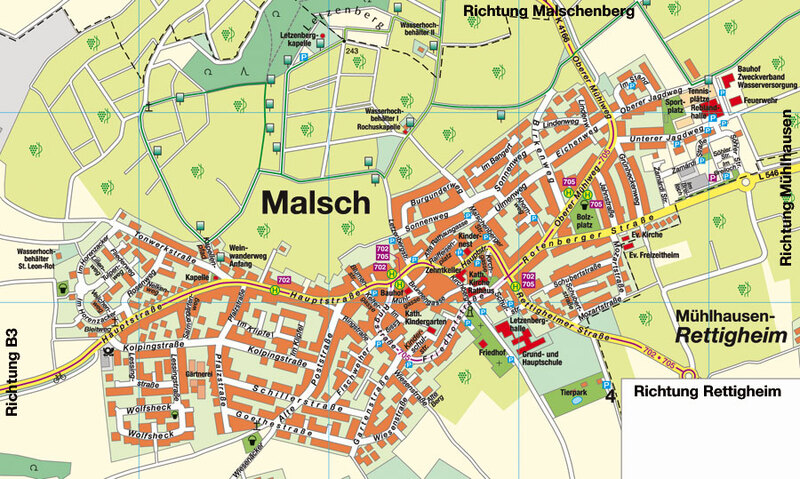 Take exit "Wiesloch-Rauenberg" and drive towards Angelbachtal to T-junction, then right to paint - from the A6 motorway. In the town one comes to the auto repair shop, Klaus Becker, then take a sharp right towards the mountain of paint, then the first = Birkenweg left, the 2nd left = Sonnenweg, the first In the right = Bangert. Here one comes to our house directly scales with flagpole and propeller in front and and painted.